Pull out your top hats and don your green, Philadelphia, St. Patrick’s Day is here and it’s your time to shine on the St. Patrick’s Day Irish Stroll. We know Philly goes hard – which is why we’ve made sure that every single stop on this pub crawl is cover-free. Go out on the lash and soak up exclusive drink specials at the best bars and taverns around the city. Let’s honor the Emerald Isle with a cold drink and a traveling Party that would make St. Patrick Proud. 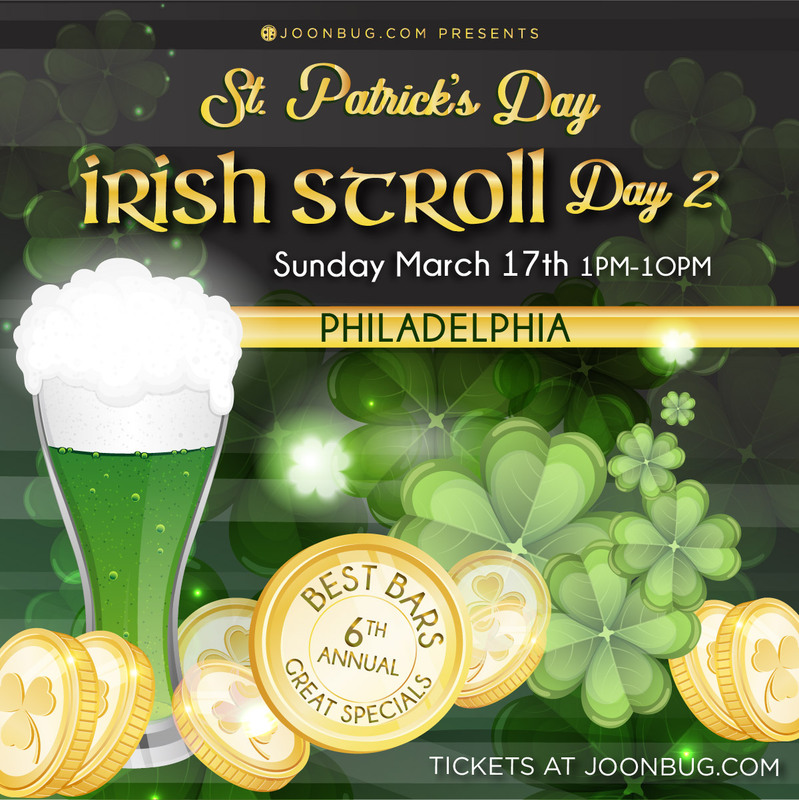 Find your pint of gold on the Irish Stroll this St. Patrick’s Day – it’s time to get trolleyed, Philly.